If you'd like a consultation with our biochemist about your horse, all we ask is that you fill out, and return, our Equine Case History Questionnaire. You can provide any test results you may have regarding: water quality, veterinary diagnosis and/or laboratory tests, etc. The volume of, at least, one packed tablespoon of hair is required to complete analysis. Hair samples taken from the chest of animals and back of the head on humans are preferable. Vita Royal Products Inc. was established in 1977 in response to the recycled contaminants in food act that was passed in the same year. This act allowed, and continues to allow, the recycling of heavy metals and hazardous chemical waste into fertilizers that supply nutrients for the crops that feed our animals and, in some cases, people as well. These toxins are absorbed into the crops and thus deposited into the animals who eat the processed version(s) of these crops. Our goal has always been to provide a healthier option for these animals, be they performance horses, pets, cows or chickens for slaughter. • We use only pharmaceutical grade ingredients (USP), which are the absolute highest quality ingredients available in the world. • All of our products are formulated so that the bioavailability of each ingredient is maximized. • Most importantly, our products work to restore normal, healthy biochemistry; from performance horses to seemingly hopeless and dire cases. Here at Vita Royal, we help you compensate for imbalances in the equine diet, and the toxicities brought to the body through external factors such as the environment and diet. Our company, and biochemist, have specialized in biochemical and nutritional health now for over 30 years. Vita Royal has pioneered the understanding that all equine genetics have a required minimum framework that must be met, in order to live healthily. This framework directly regards nutrition and toxicity levels (more simply termed "the environment"). In short, we help horses perform, and maintain the quality of life you'd hope for in the midst of biological responses to environmental change which, whether we like it or not, horses have been suffering from for decades now. Since the industrialization of farming and agriculture, the equine diet has changed to better accommodate industry and the processing of horse feeds. Industry has done this by sacrificing the quality of diet that the horse has evolved to depend on, and metabolic syndromes are the most common result for today's horses. Our field and laboratory research has made us the leader in manufacturing pure, all natural vitamin and mineral supplements for all kinds of today's horses. Our supplements have never contained any fillers, binders, or extenders of any kind. In fact, we have always used the same USP grade ingredients found in the highest quality human supplements for our equine/horse supplements. 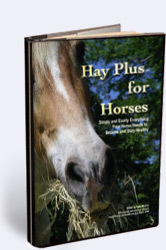 In 1977, we were the first to do this as the horse feed industry was the only animal industry which diluted vitamin and mineral ingredients with inexpensive feed ingredients, such as wheat middlings, bran, and alfalfa meal. The feed and supplement industry has continued to maintain the same old philosophy, which tends to be inadequate for the majority of performance horses and especially destructive to the sick ones. We have been tirelessly dedicated to producing products that far exceed the industry standard definition of quality, as we see it necessary for horses in today's world. For more than 30 years, regardless of the economic climate in America, Vita Royal has never substituted a lesser quality ingredient, in any of our products, in order to save a buck. That's how much we care about your results. Vita Royal's tradition of quality continues with an extensive line of internationally recognized equine health products, and programs, that succeed in getting the most out of your performance horse while controlling a wide range of health conditions. Protocol for General Health Maintenance and/or Environmentally Induced Illness Feed Program, (including EPM). Step-by-step instructions to return your horse to health using our specialty supplements. Required reading for anyone interested in succeeding with our program. Here are all currently known related symptoms, from colic to abnormal behavior to eating habits that are signs that your horse might be affected, many of which are not yet recognized for their association with Environmental Illness. Learn why by-products, cooked and extruded feeds, fillers, and high fat content don't belong in your horse's daily diet. Vita Royal's easy to use feed program was developed to provide owners with the highest quality nutrition. Illustrations of diagnostic acupuncture points for EPM, Autoimmune and Rhino Pneumonitis Neurotrophic Herpes Syndromes, along with explanations for your reference as well as treatment recommendations for your veterinarian. This documentary articulates, very well, the shortcomings in current mass production of agricultural feed and human grade food products. We strongly recommend that everyone reference the documentary "The Future of Food" to better understand the context of Vita Royal's message and the natural evolution of the our success. © 2014 Vita Royal Products Inc.
A cooperative effort between Vita Royal biochemist Linsey McLean, Amy Hayek DVM, and Editor Cada McCoy. You can read the first 15 pages and/or order a hard copy online.